Hand-crafted by skilled artisans, the Ingrid Dining Chair takes inspiration from Oscar award-winning actress Ingrid Bergman. Ingrid Bergman was a Swedish actress who starred in a variety of films in the 1940’s including Casablanca and Notorious. Part of the Century Collection by Ottiu, the mid-century modern style will add a touch of Hollywood glamour to any dining room space. The curved frame is lined with a soft cotton velvet with a contrasting leather back. The luxurious fabric is complemented by long lacquered legs with polished brass accents. 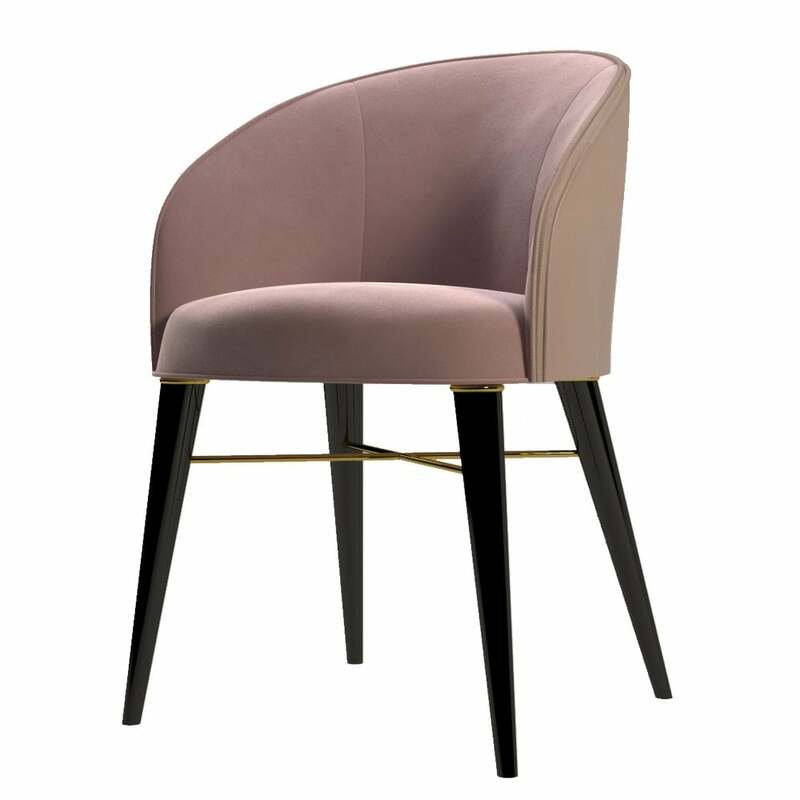 Made from the highest-quality materials, the Ingrid Dining chair looks beautiful upholstered in a dusky pink shade paired with a dark wood dining table. Available in range of finishes, get in touch with our team for bespoke options. Priced for Upholstery: Ottiu Fabric. Structure: Beechwood, lacquered legs with high gloss varnish. Details: Polished brass accents.